When Ashley Hodson headed home in the Reds' last home game against Aston Villa, the attacker achieved a personal landmark. Her fine finish from Niamh Charles' pinpoint cross was the first time she has found the net in front of the Reds' home support and helped put the team on course for the quarter-finals of the Continental Cup as they saw off Aston Villa 5-1. 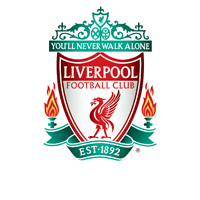 It had been more than two years since her last Liverpool goal, which also came in the Continental Cup as the Reds won 3-0 at Doncaster Rovers Belles back in July 2015. Earlier Ashley had provided the assist as Jess Clarke headed the Reds in front against their FA WSL 2 opponents. “You know when you put the ball in the box in this team, there's always going to be someone there and Jess took it very well. The Villa game was Ashley's third start of the season and she was pleased to be handed a chance to show off her talent. She retained her place in the last of the Continental Cup group games at Sunderland and for the quarter-final at Chelsea before Christmas. 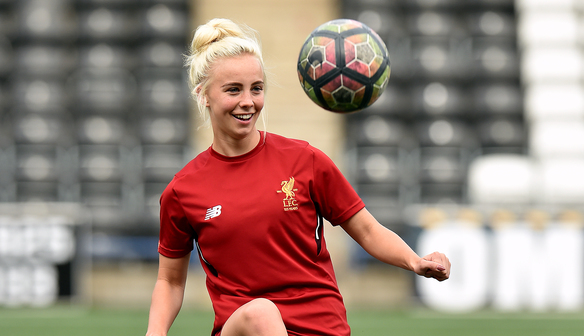 In November Ashley joined fellow Reds Becky Flaherty, Ellie Fletcher and Ali Johnson in signing a new contract with Liverpool Ladies and she was delighted to put pen to paper. Reds boss Scott Rogers was thrilled to secure Ashley's services for an extended spell. That Spring Series saw Ashley demonstrate another string to her bow as she proved an able deputy at right-back in the absence of the unavailable Satara Murray and injured Martha Harris. Ashley is part of a Liverpool squad packed full of attacking talent which is capable of playing in wide roles or down the middle. She believes the competition for places with players of the calibre of Bethany England, Niamh Charles, Jess Clarke and Ali Johnson is a healthy situation for the team and the pace contained in the squad makes for an exciting forward line whichever combination of players is preferred for any given game. “We like to play with a bit of fluidity and we've got people who can play left-wing, right-wing or up front. We like to keep it rotating and have our opponents guessing and that's what we hope to use to our advantage." Ashley made her 50th appearance for Liverpool Ladies when she came on as a substitute in the win over Everton on the opening day of the season. She provided an assist for Niamh Charles as the Reds won 2-0. Ashley's goal against Aston Villa in the Reds' last home game was one of two first-half headers with Jess Clarke also on target following Ashley's cross.